We’re sure you’ve heard the horror stories and have seen the results. Trust us, you’ll regret it. The drug store bought hair coloring kits will damage your hair and leave your hair feeling unhealthy and brittle. When you come into a men’s professional hair coloring service you know we are using products that protect your hair’s health and strength, so don’t risk it. If you’re not ready for the salt and pepper look dyeing your hair will make you feel younger again. You can match your current hair color, or try a shade darker or lights for something new. We here at Hair Mechanix will work with you to match your natural color for a fresh younger look. 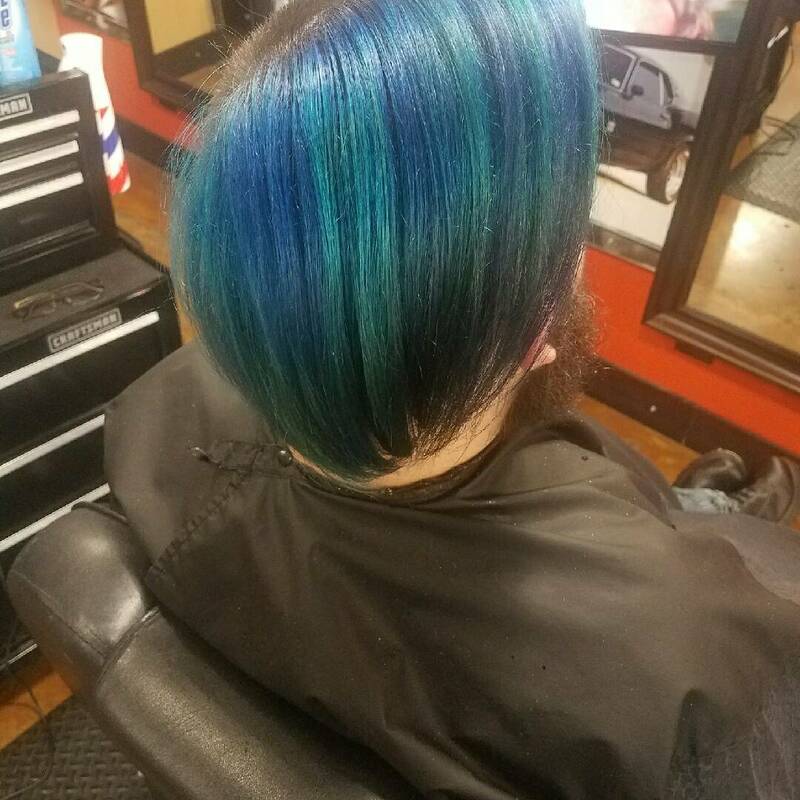 If you want to try a funky color, we can help! We’ve seen a few celebrities rocking highlights or bleach part of their hair, and we are loving it! We can give your hair a unique look while letting you express your personal style. You can go all in with a crazy color or just a few accent highlights. We’ll work with you to get the exact look you want. This is a nice subtle look that will have the same effect as coloring your entire head. You’ll look younger but in a subtle way. This is good for guys who don’t want to announce they’re dyeing their hair but don’t want to go fully gray yet. No shame in this game. You want your beard and your dome to match, so try dyeing it. So why wait to try something new? Come into Hair Mechanix and try some dye. We’ve got you covered! Make sure to visit us on Instagram today!